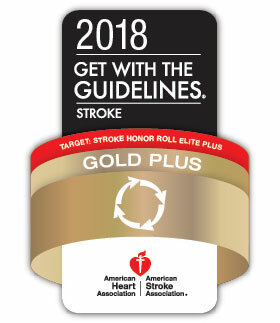 Get With The Guidelines-Stroke Gold Plus Quality Achievement Award. The UCLA Neurocritical Care Program is housed within the Departments of Neurosurgery and Neurology and provides comprehensive critical care to patients with critical neurologic illness. Neurocritical Care is a unique discipline that provides critical care for patients with a wide range of neurological disorders, including stroke, subarachnoid hemorrhage, brain trauma, coma, intracerebral hemorrhage, seizures, spinal cord trauma, status epilepticus, encephalitis, myasthenia gravis, Guillain-Barre' syndrome, and neuromuscular disease. See Neurocritical Care Society for more details. 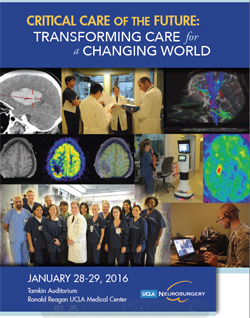 UCLA Neurocritical Care is the Neuro ICU of the Future. 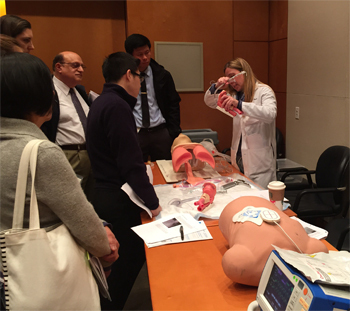 UCLA Neurocritical Care Fellowship Program is UCNS Accredited. The UCLA Neurocritical Care Program's mission is to provide the highest quality critical care to patients with life-threatening neurologic disease, today, while building the tools, through research and education, that will enable future generations to cure these devastating diseases, tomorrow. Neuro ICU Family Guide (click for details): At UCLA, we understand the needs of family members during critical illness. We have designed an open visitation policy, frequent physician updates, and a transparent policy that empowers families during this difficult time. Our 24 bed Neurocritical Care Unit is designed to care for very sick patients. We accept transfers from our neighbor hospitals, as well as remote sites. Our transfer call center is manned 24 hours/day and can connect your doctors with critical care doctors to discuss your family member's condition. UCLA Neurocritical Care features a emergency response hypothermia consultation service for patients who have had Cardiac Arrest. We can provide hypothermia treatment at UCLA or provide consultation services to other facilities for patients with cardiac arrest. We feature advanced surface and vascular-based cooling catheters for rapid induction of hypothermia. Call 310-825-6301 for the on-call Neurointensivist for details. A focus on recognizing altered function in the brain and spinal cord and immediate intervention to prevent secondary injury improves outcomes and lowers hospitalization costs. A 24-bed state-of-the-art neurosurgical/neurological intensive care unit (ICU) directed by a neurointensivist along with neurosurgical and neurological attendings and residents. An elite team of neuroscience nurses, respiratory technologists, EEG technologists and nurse managers provides minute to minute ICU care. Multimodality monitoring of the nervous system includes electroencephalography (EEG), evoked potentials (EP), transcranial doppler (TCD), cerebral blood flow, intracranial pressure monitoring, cerebral microdialysis and positron emission tomography (PET). 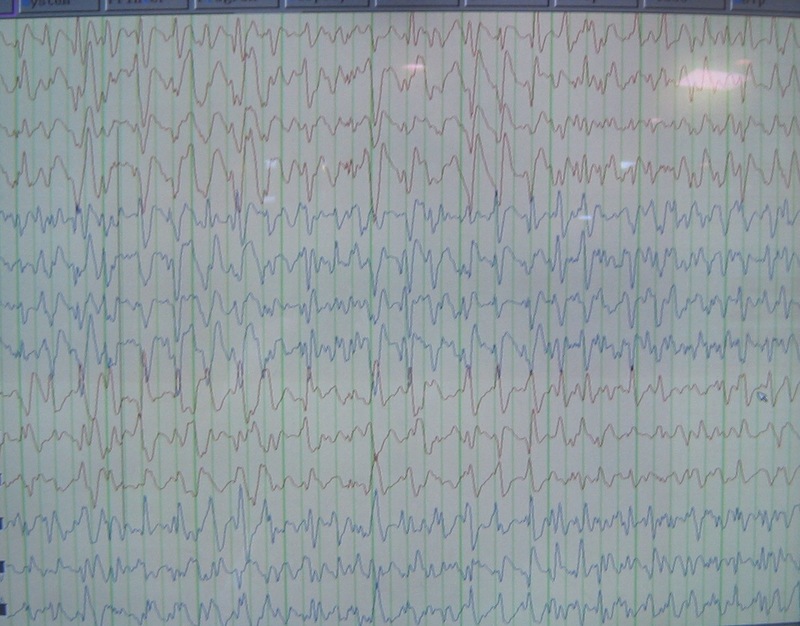 Continuous EEG in the NeuroICU was pioneered at UCLA. Continuous EEG Monitoring (cEEG) in the ICU detects silent seizures, which occur in 20 percent of comatose brain trauma patients and lead to worsening intracranial pressure (Vespa et al 2007).